Jonathan Torkelson (BS ’04, MS ’04) established his own company more than 10 years ago while an intern for the Oklahoma Center for the Advancement of Science & Technology. His undergraduate research showed promise in 2003, so he took a chance and filed as Embeddetech’s sole proprietor. Today, the company is thriving as a technology design and research service for customers worldwide. 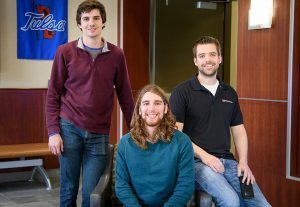 Embeddetech employees range from local developers and contractors in the Tulsa area, to University of Tulsa graduates in Texas, to engineers and graphic artists in India. Clients seeking design for custom electronics hire Embeddetech to build hardware and circuit boards from scratch. The devices include electronics and microprocessors for specific products. The company’s latest method for serving customers is a new product called Virtuoso, an embedded virtual device framework. Developers who design firmware to run on an embedded system need a tool to connect it to hardware, but it must be reprogrammed every time code is changed. The alternative, Torkelson said, is to increase efficiency using Virtuoso. Many of Embeddetech’s designs include a simple user interface such as a touch screen, eliminating the need for hardware. The developer can control all functions from the screen. Professional developers of embedded design directly benefit from Virtuoso’s convenience and time-saving capabilities, but Torkelson also wants the framework to reach student researchers. The framework will be available to students for free in a matter of weeks. Torkelson regularly mentors TU students. 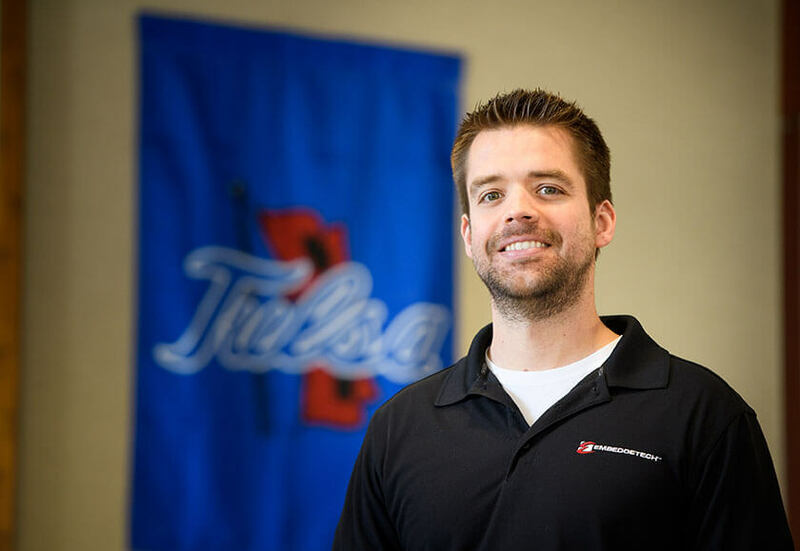 Torkelson sits on TU’s Electrical and Computer Engineering advisory board and continues to participate in the OCAST program as a company mentor for TU students.